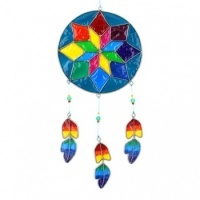 Intricately crocheted and awash with colour, these beautiful rainbow dreamcatchers look fantastic hanging from the ceiling. 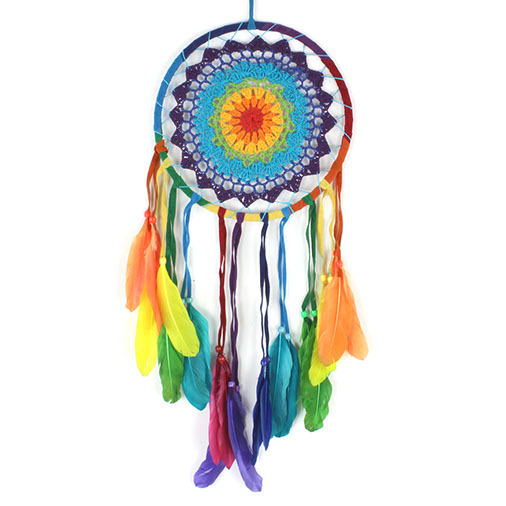 Native Americans believed that all dreams, both good and bad, came from the sky at night. As the dreams floated down they would flow through the dreamcatcher where the bad dreams would get stuck and the good dreams would continue through to be enjoyed. The stuck bad dreams would stay there until morning when they would be dissolved by the first rays of sunlight.